Celebrate with us the public opening of the newly conceived building: a new commission by Chiharu Shiota in the atrium will, as part of the new vision, be freely accessible to the public, the new restaurant Beba and the redesigned Walther König Bookshop will also be open. Coinciding with the opening of the exhibition And Berlin Will Always Need You. 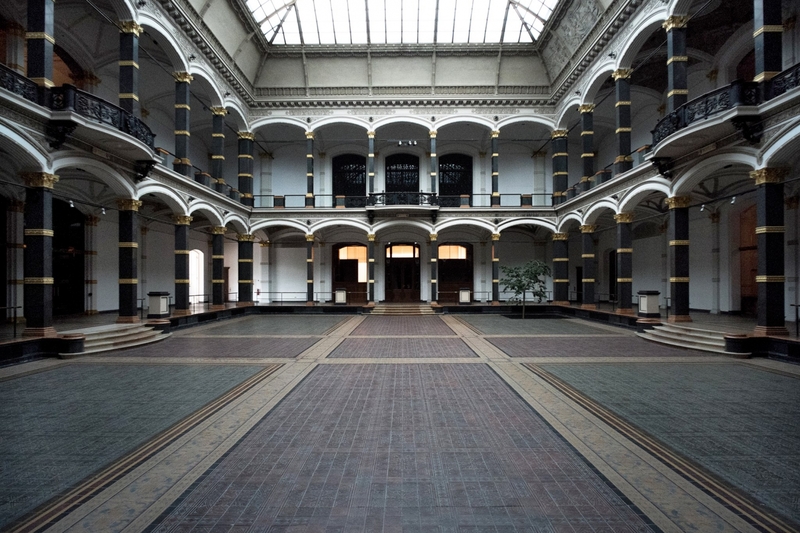 Art, Craft and Concept Made in Berlin on the evening of 21 March, the weekend marks the debut of a day-ticket scheme that allows all of the Gropius Bau shows and events to be explored in a single visit. There will be various events taking place on Saturday 23 March and Sunday 24 March: guided tours, workshops, performances, a talk by artist in residence Otobong Nkanga and an exhibition of artist books curated by the Walther König Bookshop. A coordinated events programme responds to the exhibitions and activates the restaurant, bookshop and foyer as spaces for conversation and discussion, opening up the institution as a dynamic space and a place for communal gatherings with regularly scheduled events. The entire programme will be announced shortly.